The old mantra in the football world states that defense wins championships. Well, whoever came up with that saying never witnessed the 2018 NFL season. The top four scoring offenses from the regular season remain the last four teams standing as we head into the Conference Championship weekend. New Orleans has now gone 25 straight games without allowing a 100-yard rusher. Yet, if there were a game for that streak to be broken it would be Sunday’s Conference Championship game. Todd Gurley and the pint of Ben and Jerry’s with limbs known as CJ Anderson both eclipsed the 100-yard barrier for the Rams a week ago. The Saints suffered a major blow to their front seven vs. Philadelphia, losing Sheldon Rankins to a torn Achilles. The Rams dominated both lines of scrimmage in last week’s contest, and this week should be no different. As for the Saints offense, they struggled all year to find a second receiver to lean on opposite Michael Thomas. This is a issue similar to Dallas and Amari Cooper, and we all know how that turned out last week. People keep calling for the end of the dynasty, while the Pats just keep winning. 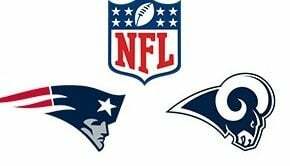 The Patriots scored at will a week ago, and dominated in all facets of the game vs. what was believed to be the most talented roster in football. The Pats completely demolished the Chargers in schematics, with Belichick making Anthony Lynn look more deserving of running a Pop Warner team than an NFL one. This week won’t come as easy, as Andy Reid is one of the brightest minds in football history. 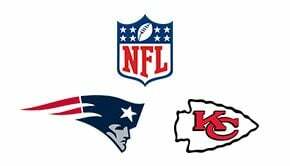 Pat Mahomes and company will have their moments and put pressure on the Pats all game. Yet while the Chiefs defense stepped up in one game, so did the Chargers a week prior to facing the Patriots. Give me Tom Brady at home vs. a 1st year starting QB, no matter how talented that QB is. Our Super Bowl prediction remains the same as it did prior to the start of the NFL playoffs. 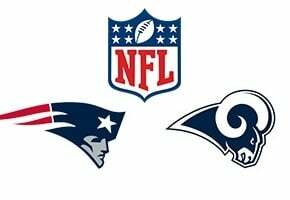 The Rams are the most well rounded team in football, in terms of talent, schematics, and coaching, What the Patriots lack in the talent department, they make up for with A-pluses across the rest of the board. It’s impressive that Brady was able to carry his team this far. 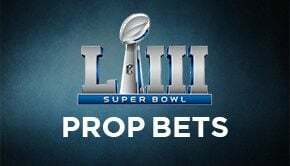 Yet the Rams (who betting sites place as the least favorite team to win the Super Bowl) hold just too much firepower on offense for the talent-deficient Pats to go score-to-score with. For all Brady’s brilliance, he was the worst rated starting QB against the blitz this season. Not good news when you have the NFL’s leader in sacks, and four other first round picks in the front-seven lined up across from you.